1. Magnesium is the mineral of rejuvenation, and prevents the calcification of our organs and tissues that is characteristic of the old-age related degeneration of our body. 2. Magnesium deficiency contributes to an exaggerated response to immune stress and oxidative stress is the consequence of the inflammatory response. 3. Prolonged use of magnesium will prevent chronic complications of diabetes. 4. 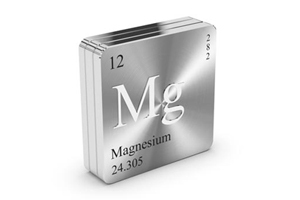 Evidence is mounting that deficient levels of magnesium contribute to the heavy metal deposition in the brain that precedes Parkinson’s disease, Multiple Sclerosis and Alzheimer’s disease. 5. When a doctor’s patient dies of influenza, it is not the virus that is deadly, but the patient’s compromised immune system due to chronic, long-standing deficiencies of vitamin C and magnesium intake, combined with the drugs and vaccines that doctors use that send old and young alike to their graves. 6. Cholesterol cannot be synthesized without magnesium and cholesterol is a vital component of hormones. 7. Women who suffer from premature menopause, or an early failure of the ovaries report that magnesium often helps fight the crashing fatigue that often comes at the beginning of premature or early menopause by boosting energy levels. 8. Diuretics help flush magnesium as well as potassium from the body. The resulting magnesium deficiency hinders potassium use by the cells. Magnesium deficiency keeps people from replenishing potassium. 9. Magnesium treatment has been repeatedly shown to reduce the incidence of both temporary and permanent noise-induced hearing loss and supplementation is now being found to significantly improve acute onset hearing loss. 10. All physiological processes deteriorate in the face of magnesium deficiency vastly accelerating the aging process and hastening the onset of death. For more information see: http://www.phaelos.com/transdermal.html and check out the Green Smoothie Lesson for an easy way to get plenty of magnesium into your diet.